Its forecast dipped to 13% from 14% in May. Morgan Stanley pared its bullish forecast on Singapore companies’ earnings growth to 13% from its previous projection of 14% in May, nearly two months ago. It also adjusted its 2019 earnings growth forecast from 10% to 9%. According to a research note, the firm cut its MSCI Singapore index target 3% to 1,793. This new target implies a 6% upside, which is still the highest in their ASEAN coverage. “We revisit our assumptions on the back of 1) new property cooling measures for the residential market following a faster than expected 9% rise in prices over the last three quarters; 2) ongoing and likely prolonged global trade tensions - non oil domestic exports account for about 40% of Singapore GDP,” said equity strategist Sean Gardiner. 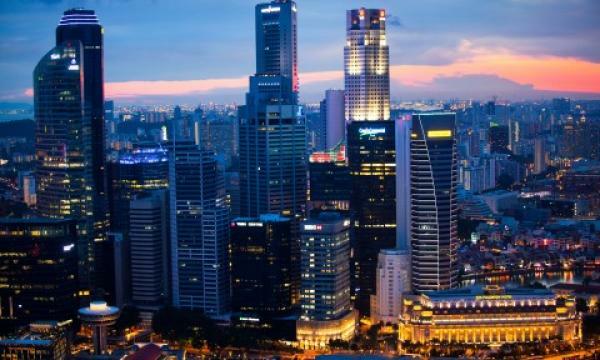 The strategist clarified that Singapore is still their most preferred market in the ASEAN. “We appreciate the dent to investor sentiment (a lower P/E) from trade and cooling measures; we factor this in by raising our bear case weighting from 25% to 30%. But, we think markets have overshot on the downside,” he added. Gardiner also pointed out that the MSCI Singapore is trading at 12x NTM P/E, a -1 standard deviation to its 5-year average and, more importantly, back to the levels last seen in June 2016 when earnings growth was sub 5%. It noted that earnings recognition lags on residential sales, which means the impact of cooling measures will likely only show up in earnings in 2020 or beyond. Morgan Stanley said that banks stay its largest overweight whilst real estate has been cut to a 50bps overweight (from 75bps). “Developers are attractive at a 50% discount to RNAV. We also warm up to REITs given less upward pressure on 10-year bond yields at this point,” Gardiner said.